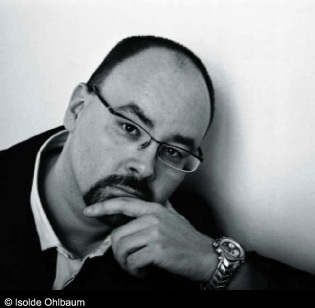 I still remember a long, long time ago (the 2nd of January, 2012) when I very first began this blog, and I was desperately wondering what direction the content would take. I very quickly realised that I wanted to make my blog about books and writing, and even though other things have found their way into my posts, such as music (in particular this month), but also random things I like (such as coffee and tea), I still feel overall that I write a books and writing blog, and that will indeed remain my focus for the foreseeable future. 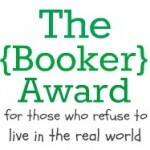 So I must thank Literary Tiger for nominating me for the Booker Award, an award for blogs primarily about books (50% or more on books, reading and writing). One of the great things about book blogging is meeting so many other brilliant book bloggers out there, and Literary Tiger has a fantastic blog and a great taste in literature, and is without a doubt worth a visit if you have not yet managed to stumble across her posts. 1. Nominate other blogs, as many as you want but 5-10 is always a good suggestion (but hey, I once nominated 32, so don’t take my advice necessarily). Don’t forget to let your recipients know. 1. 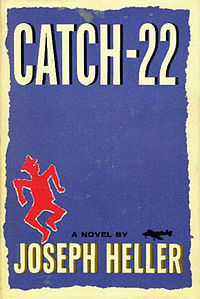 Catch-22 by Joseph Heller – I’ve discussed this brilliantly absurd World War II based novel before, multiple times. This book made me howl with laughter, and was also the first book (in my memory at least) to make me cry. It moved me in a way a book hadn’t ever moved me before, and single-handedly re-inspired me to read more and, more importantly, to start writing fiction again. An amazing book, and one which will likely always claim the top spot in this list. If you haven’t read this, you absolutely must. 2. 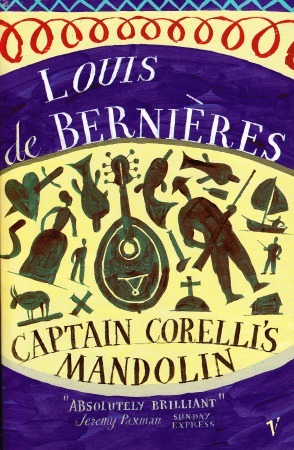 Captain Corelli’s Mandolin by Louis de Bernières – Apparently the film adaptation of this is awful, which is a shame as I suspect that puts a lot of people off reading the book, when really it is magnificently written. Also set in World War II, it is the story of a Greek island community who has to deal with an Italian occupation during the war, and how one girl in the town falls in love with Captain Corelli, the musician captain of the Italians. It’s funny and heartbreaking all at the same time, and another book I am constantly lending out to friends. 3. 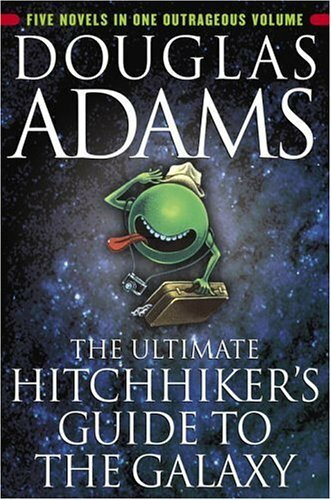 The Hitchhiker’s Guide To The Galaxy Series by Douglas Adams – Yeah yeah, it’s technically five books (and yes I know there’s a sixth, but I just can’t bring myself to read it when it wasn’t written by Douglas Adams). A downright silly and bizarre series of science fiction books, which at first may come across as being too silly for their own good, but upon further reading and reflection are actually taking subtle (and sometimes not so subtle) swipes at society. All in a universe in which Earth flickers between existing and not existing, depending on which book you’re at. This isn’t for everyone, but I recommend at least trying it. 4. 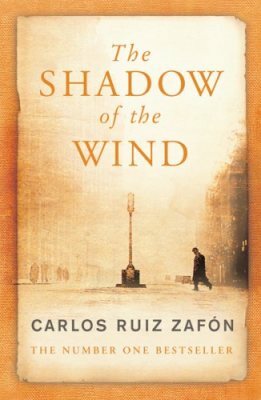 The Shadow Of The Wind by Carlos Ruiz Zafón – This hypnotising gothic novel is set in post-civil war Barcelona, and based around a boy, Daniel Sempere, who is initiated into the Cemetery of Forgotten Books, where upon initiation into this old forgotten library he has to choose a book to protect for life. 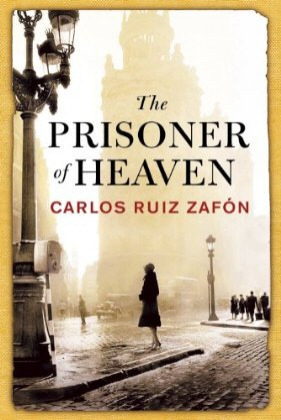 When he falls in love with his book and tries to track down more books by the author, he finds out the author’s life is shrouded in mystery, and that a figure named after a character within the story has been burning all of the author’s books. The whole story within a story thing doesn’t always work, but this one is just spellbinding, as are all the books by this author. 5. The Kingkiller Chronicle by Patrick Rothfuss – Okay, so this is another series, a fantasy trilogy of which the third book is yet to be released. 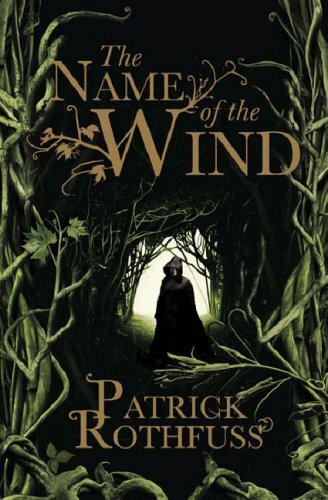 But the first two books, The Name Of The Wind and The Wise Man’s Fear, both blew me away, and are undoubtedly my favourite fantasy novels. The story of Kvothe, adventurer, arcanist, musician and so much more, and why he has disappeared into obscurity, is one of those stories that stays in your mind long after you have read it, and the novels steer away from the usual conventions of the fantasy genre, making for a much more exciting and less predictable read. If you’re a fantasy fan, read these books. If you’re not, read these books. These are all great blogs about books and writing and various other related topics, so check them out. And as always, this is by no means a definitive list, and I have left some people out who I know have been just nominated recently for these awards. But for many other great blog suggestions, check out my other awards posts, as well. What are your top 5 books of all time?